Apply to 8XX polyester screen for textile inks. Use finer mesh for poster inks. 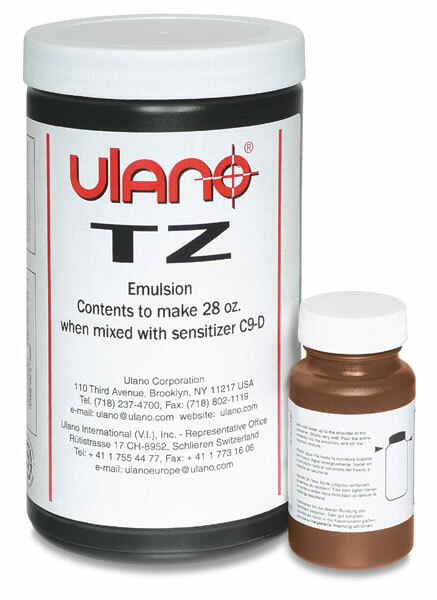 For block-out, use the same emulsion. Washes out of screen with Ulano Stencil Remover .4. Sensitizer included.